Hayley features as a duet partner with famous tenor Placido Domingo on his new album "My Christmas". The duet is listed by Sony Classical as "Loving Christmas With You" and the album is set for Worldwide release on 30th. October 2015. 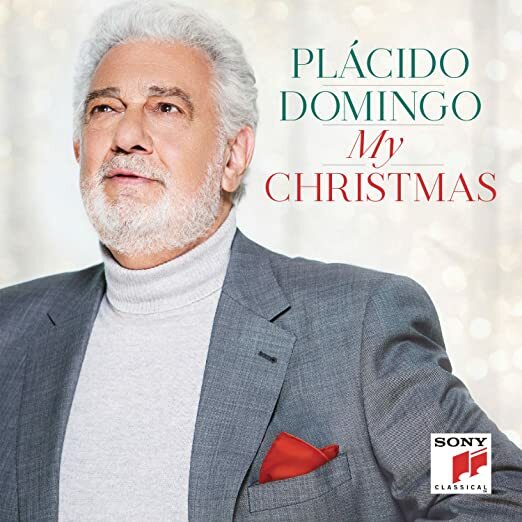 Placido Domingo presents: "My Christmas"
Among them are Idina Menzel, who has just triumphed as the voice of the Elsa Frozen Disney's highest-grossing animated film of all time; German star Helene Fischer, who has sold over 9 million albums to date; French tenor Vincent Niclo; and The Piano Guys, whose original fusions favorite songs of classical music and pop songs have been seen by half a billion people on YouTube. New Zealand singer Hayley Westenra, whose album Pure became international debut album that has sold faster in the history of classic lists in United Kingdom also appear; and Jackie Evancho, the amazing singer of 15 years, which is also the youngest artist who debuted in the top 10 in the history of music in America. She plays pure, ethereal Pie Jesu by Andrew Lloyd Webber. Other favorite pieces are Silent Night (with The Piano Guys); Have Yourself a Merry Little Christmas (Vincent Niclo); the eternal classic Irving Berlin White Christmas (Placido Domingo Jr.); vibrant Hark, the Herald Angels Sing Mendelssohn; the lovely Guardian Angels, composed by Harpo Marx and Mario Lanza made famous (Idina Menzel); and new arrangements of sublime Ave verum corpus, Mozart, composed shortly before his death. In addition to these beloved songs, hymns and carols, the album contains a new song: Loving Christmas, written by Placido Domingo Jr. But there's more. Domingo joins Banda el Recodo to interpret the classic Merry Christmas in Spanish, and the voices of the Los Angeles Opera Domingo-Colburn-Stein young artists program in God Rest Ye Merry Gentlemen. The Czech National Symphony Orchestra, conducted by Eugene Kohn, is responsible for providing the symphonic accompaniment. Placido Domingo, who already has spent five decades performing in the most prestigious theaters in the world, has had the most varied career in opera history. The Spanish singer, 74, has sung 147 operatic roles, more than any other artist, and is also celebrated by the great success of their albums pop and Latin music. Being also a talented director and artistic manager, he has been dedicated to supporting emerging artists through international Operalia vocal competition. You can comment below or discuss this album here in the HWI forum.